Our organization is counted among the firms engaged in providing Retrofitting Services. These services reduce the power consumption and enhance the production capacity. 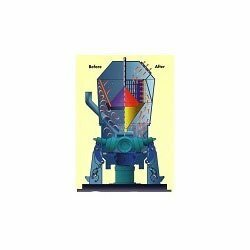 By providing better residue control on the product, these services provide better particle size distribution of the product. The services offered by us are rendered in compliance with the exact requirements of the customers using high-grade raw material and advance machines.